It’s time put on your dancing shoes with ActivLives at their popular Tea Dances! 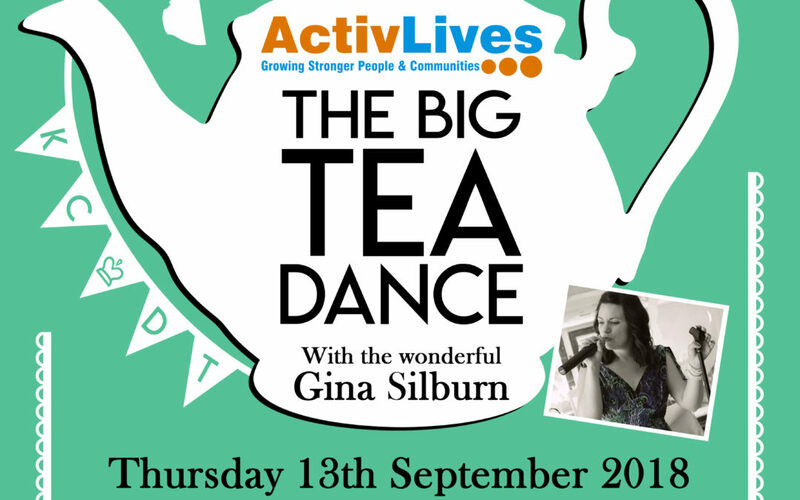 Whether it’s been a while or you’re a keen dancer – everyone’s welcome at ActivLives Tea Dance in the centre of Ipswich. Old classics to help get you in the groove, then lots of well earned refreshments for you to enjoy. So whether you are a couple, single or a group of friends, everyone is welcome, put on your glad rags and get ready to rumba. We have a special guest and in addition, there will be an airing of the Town Hall Polka, commissioned 150 years ago for the Mayoress at the ball celebrating the Town Hall’s opening. An expert will be on on hand for help with some basic dance moves, so if you are a bit rusty she will be on hand to help. Live music will be provided by the lovely and talented Gina Silburn, a wonderful local artist, singing ballroom favourites and dance-floor classics. So whether a waltz or a samba, or something more contemporary, come along and enjoy two hours of live music and dancing. Lovely homemade cakes and teas and coffees will be available to revive you during the afternoon. As well as providing an enjoyable opportunity to dance, it has been shown that Tea Dances play a valuable role in tackling the important issue of loneliness amongst the elderly. Research has highlighted that 1.2 million older people are chronically lonely, and half a million people over the age of 60 usually spend every day alone. Everyone is welcome to come along to the ActivLives Tea Dances. Whether you just like to listen to the music, enjoy making new friends or just want to dance, there is something for everyone – and tea and cake too!